Natural rubber is a naturally occurring thermoset elastomer harvested in the form of latex from a variety of rubber trees. It is often referred to as Natural Rubber Latex (or NRL). Latex is a sticky, milky colloid (a substance in which microscopically dispersed insoluble particles are suspended throughout another substance). Natural rubber exhibits excellent elastic properties including its ability to recover to its original length after elongation. Natural latex rubber is used in a number of applications including rubber gloves, tubing, condoms, balloons, windshield wipers, conveyor belts, marine products, tourniquet bands, as well as many other industrial, consumer, and medical applications. One of its drawbacks is it is sensitive to ozone and UV light, it will crack if exposed. Natural rubber latex and some of the chemicals used to process the latex into a usable form are allergens. These allergens may cause mild to severe allergic reactions in some individuals, including anaphylactic shock. 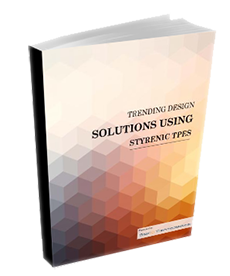 Styrenic block copolymers (SBCs) thermoplastic elastomers are a “latex free” alternative to natural latex rubber. They have a physical property and performance matrix similar to natural latex rubber. However, these materials are non-allergenic and safe for use in medical applications, as well as other uses noted above. In addition, they are easily colored and are available in clear. They are highly versatile in that functionality can be added through compounding steps and additives. The formulation components in SBCs are inert so they are safe for use on the skin, in the body (must test), as well as around food and drink. In addition, SBCs have great UV and ozone resistance, unlike natural rubber latex. Next time you need an elastomer with highly elastic properties that is “health safe” and latex free, SBC thermoplastic elastomers are excellent candidates for your application. To see more about our product offering, click here. 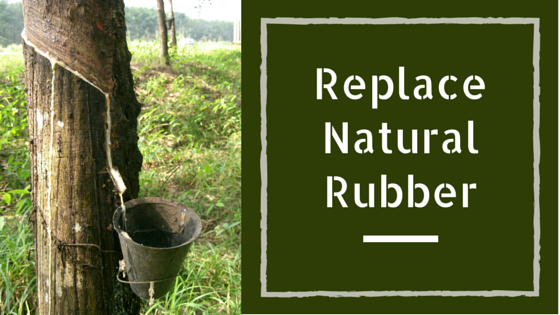 For more on natural rubber click here. Learn more about natural rubber allergy, click here. I have a question as a consumer and a latex allergy sufferer, can natural rubber latex ever be made into clear final products? Or is that a pretty good sign of a different material, like vinyl or silicone? Please let me know. It is so hard to find out what things are made of, I often have to rely on a rubbery smell and would be reassured if all clearish items were safe. Thanks! Janine natural rubber latex cannot be made into clear products. For latex allergy sufferers clear products are a safer options as long as you are not allergic to silicone, vinyl, or other plastic materials. Thermoplastic elastomers can be made into a variety of clear products from insoles, mouth guards, athletic cups, pet toys and accessories, and medical tubing and devices. I am not familiar with thermoplastic elastomers, it looks like they are widely used in the medical field. I think that is cool that they are latex free, because a lot a people are allergic to that. It is cool of all the things that people can come up with. Luke take a look at our other post and you can see how useful TPEs can be. Oh and look at our recent post for chance to win one of our favorite books.